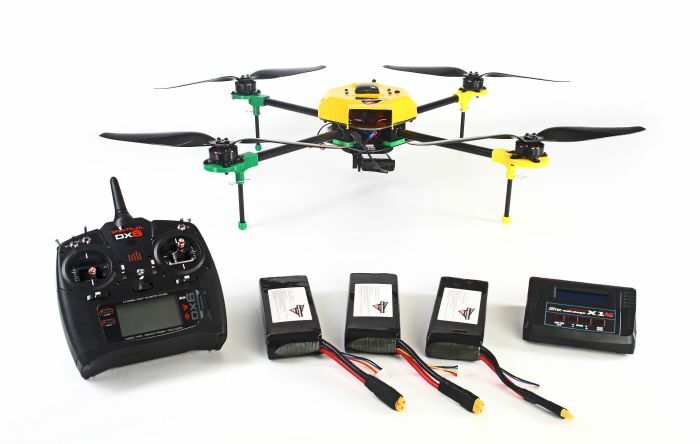 The HE Quad allows you to complete a variety of missions without any pilot experience. Its large motors powering the 16-inch carbon fiber propellers contribute to an industry-leading flight time on a single battery charge. It can cover up to 300 acres in a mission. 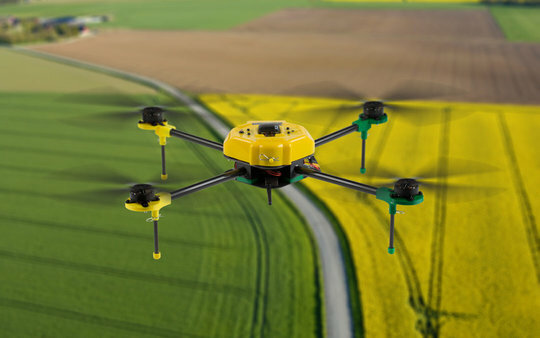 It is fully autonomous and has precision flight capabilities to assure consistent, contiguous data capture. Our quad is capable of handling tasks for farmers, hunters, miners and much more. Our sensor captures near infrared (NIR) and blue light videos/photos in the same image, but different color channels. 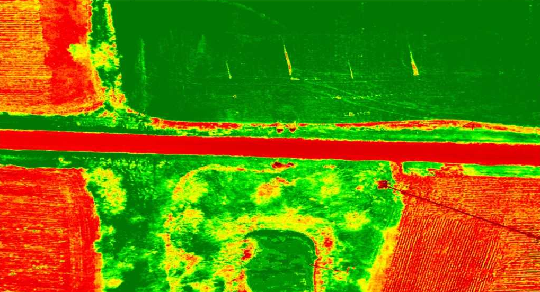 The Camera which contains the sensing software has normalized difference vegetation index (NDVI) filter applied, and the photos from the mission can then be post processed in order to better determine the level of photosynthesis. 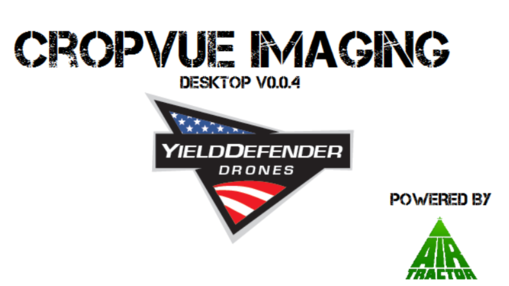 The Yield Defender flight plan can be programmed from a laptop or PC with an easy-to-use Mission Planner that generates autonomous flight plans using satellite images. Operator can program aircraft safety behavior, tune configuration parameters, define autonomous missions, and perform post-mission analysis. The mission is uploaded via hardwire, USB connection, or wirelessly via telemetry into the aircraft's onboard flight computer. CropVue 'places' images, rather than stitches, which results in rapid image processing. This program allows for field management so the user may collaborate and share the information as desired. CropVue licensing packages come in subscriptions of six and twelve months. After you have purchased your subscription to CropVue, you can navigate over to the support page for the software download. Once inside, you can enter the key given to you upon subscription purchase in order to gain full access.